I love the cauliflower popcorn (crunch from its baked seeded crust) in the Mezze to share starter. It's zillion times better than the hyped up cauliflower pizza crust, and more creative than most recipes featuring this cruciferous brassica. 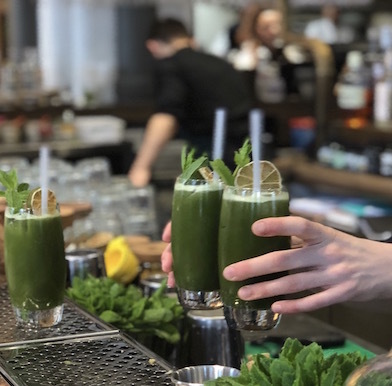 Farmacy is the Café Gratitude of London. 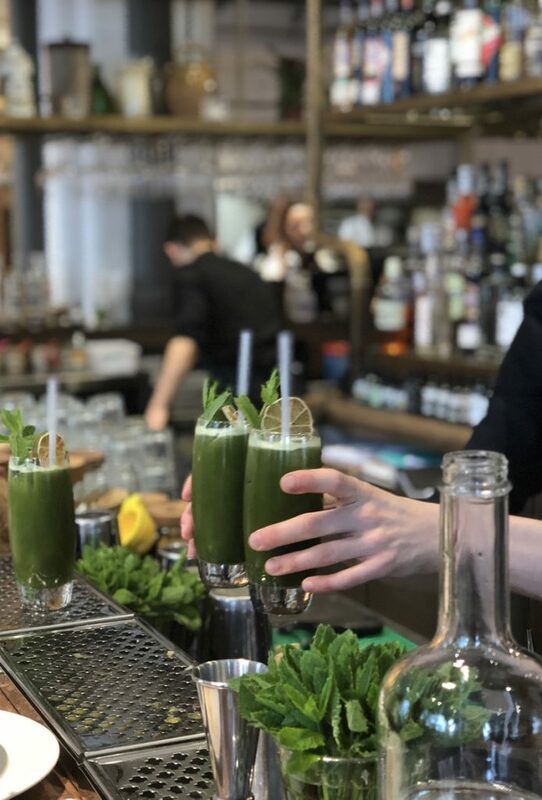 A bright room centred around a bar serving organic cocktails and superfood blends draws in health-conscious cross-generations residing in Notting Hill. Well to keep it green, you can cycle in and out as I did on the Santander bikes (parking east on Westbourne Grove only minutes away) all the way from Saint James. 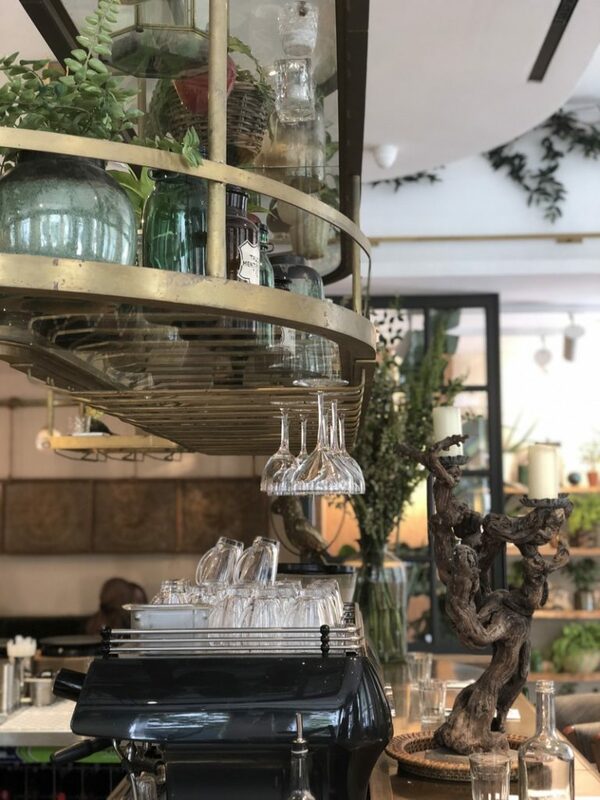 Their biodynamic garden in Kent supplies much of the plants for the menu at Farmacy, but not the creamy great avocados and other sun and warmth loving produce as pleasing the demand is key to success in highly competitive metropolis like London. 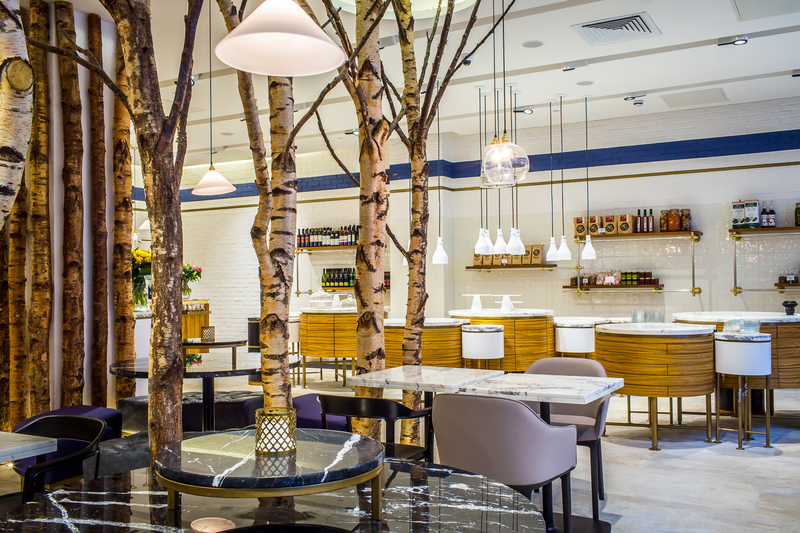 Farmacy nests in a vibrant light filled space centered around the bar ideal for singles to nibble on a healthy meal. I went four times mainly for lunches and one late dinner on my own at the bar. I rarely dine out alone, but the casual and friendly embrace of the staff at Farmacy makes the meal quite social. The food came very fast when requested or when the restaurant was not packed to the roof, then you might wait a while. 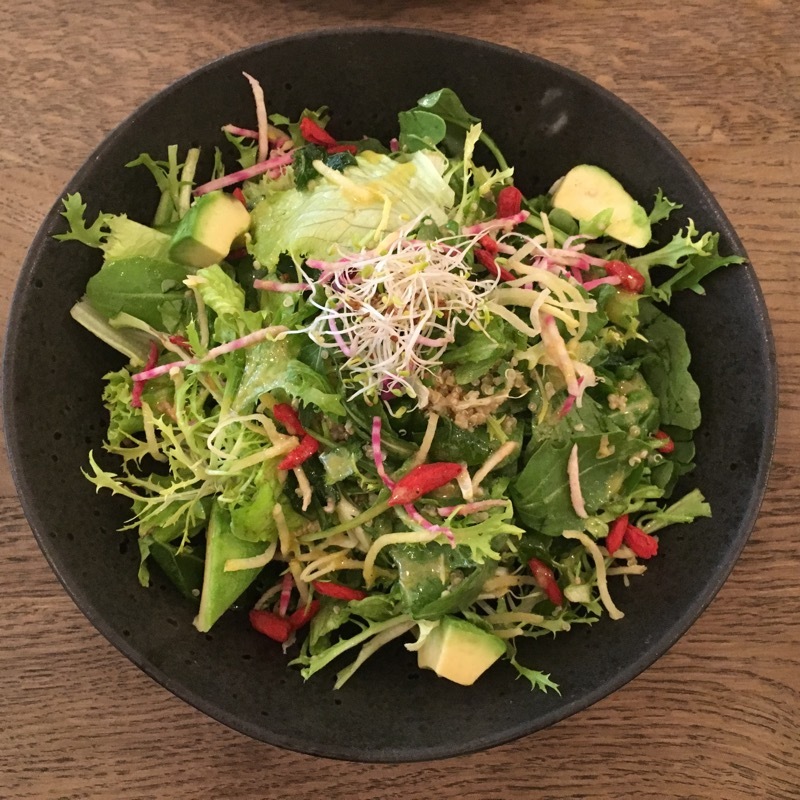 At lunch, D&G clad Russian divas hand-pick their includes, excludes teamed up with dietary restrictions next to outgoing families, while dinner soaks in the bon vivants liking their meals cruelty-free and a tad healthier. 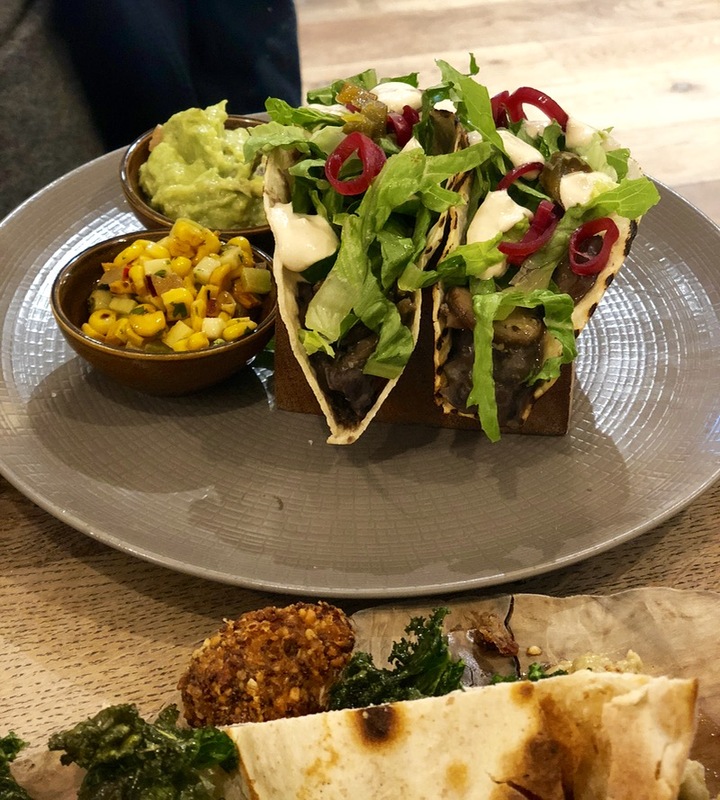 The plant-based cafe and restaurant with wine service whips globally-inspired, creatively reinvented (XL mushroom tacos, GF mac ‘n’cheese’, nachos, mezze,…), and mainly locally sourced (just not that avocado) vegan bowls and plates. 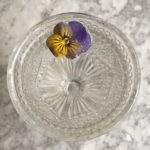 Some seasonal offerings are inspired by their biodynamic garden. 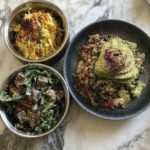 Delivered by an electric van, the millennial eco-conscious and responsible diners nod to seasonal pizzetta, wholesome chef’s curry and seasonal soup, house sourdough and gluten-free options like rice pasta and soba noodles in the popular kimchi bowl. I relished in the breakfast Probiotic Pot of purple, whipped coconut yogurt parfait with berries, smooth, not heavy like most of these fat-laden vegan treats tend to be. I love the cauliflower popcorn (crunch from its baked seeded crust) in the Mezze to share starter. It’s zillion times better than the hyped up cauliflower pizza crust, and more creative than most recipes featuring this cruciferous brassica. 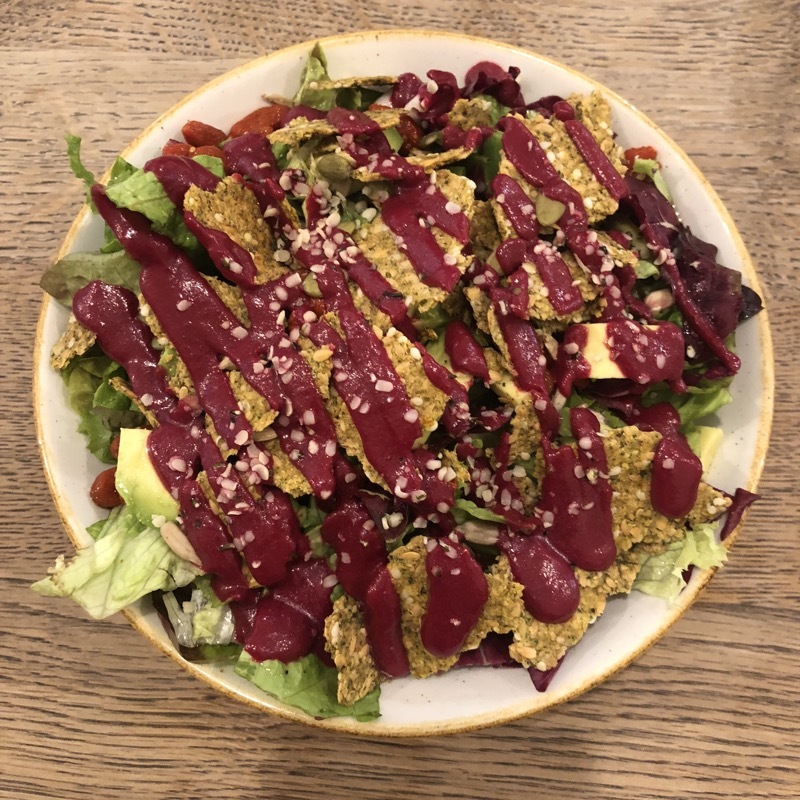 The Farmacy salad with beet dressing & flax crisp bread is perfect in half size if ordered with other dishes. Some bowls like the Kimchi with soba are refreshing while others like the seasonal Winter bowl (whipped squash, warm red cabbage with cardamom, buckwheat, celeriac and carrot remoulade, toasted brussels sprouts with a mildly spicy creamy sauce) are richly abundant. The Winter Bowl was a but too mushy though, with an aspiring hot red cabbage that turned my Central European nose up (granny does better). 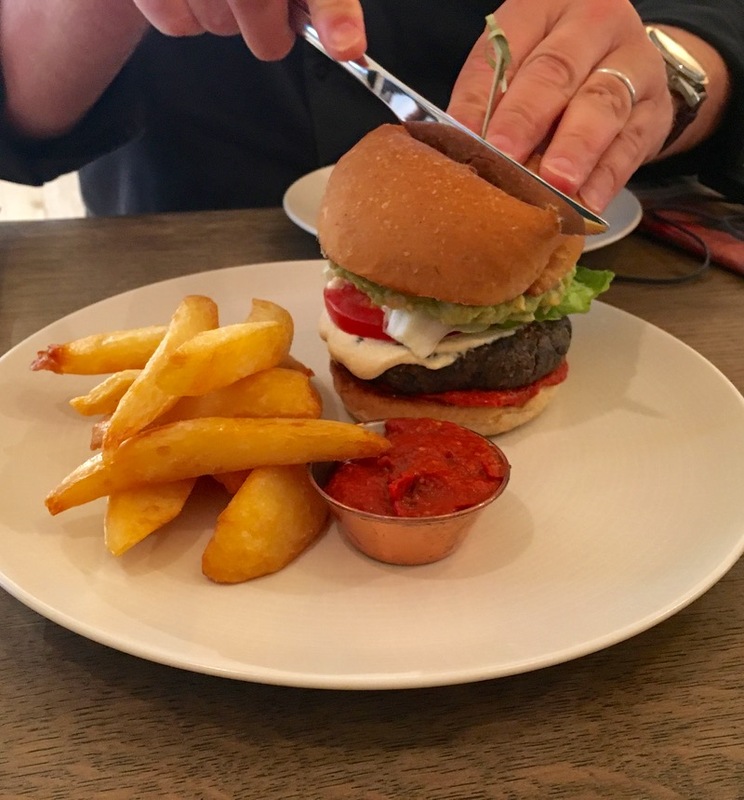 The bowls and the millet, bean and mushroom-based burger with fries make for a meal so skip the starters, although some are too good not to try – share. The burger is good, but not amazing, ironically it’s the dry bread bun that my inner critic turned down. From the drinks I enjoy the herbals like the blood-cleaning beet and cinnamon infusion or the medicinal mushroom latte. Tea is sourced from Uk-based Jing. My husband likes the cold-pressed juices and iced-teas. I do not order any of these cold beverages because of the single use plastic straws bathing in them. Only filtered tap water served in reusable glass bottles speak the language of my consciousness. They can definitely move their sustainable credentials a step ahead by crossing off their plastic inventory. 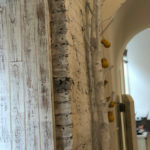 Dining at Farmacy is suitable all year round since seasonal recipes surprise you and warm dishes feel great in winter. 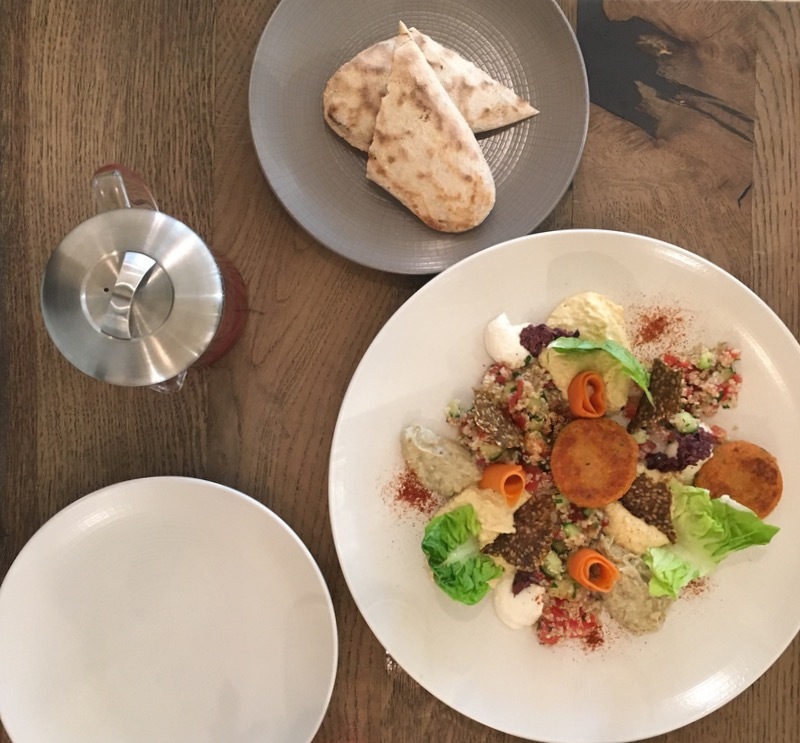 At raw eateries like nearby Nama Foods and Tanya’s Raw in Kensignton only drinks can heat your body up in their cosy embrace. 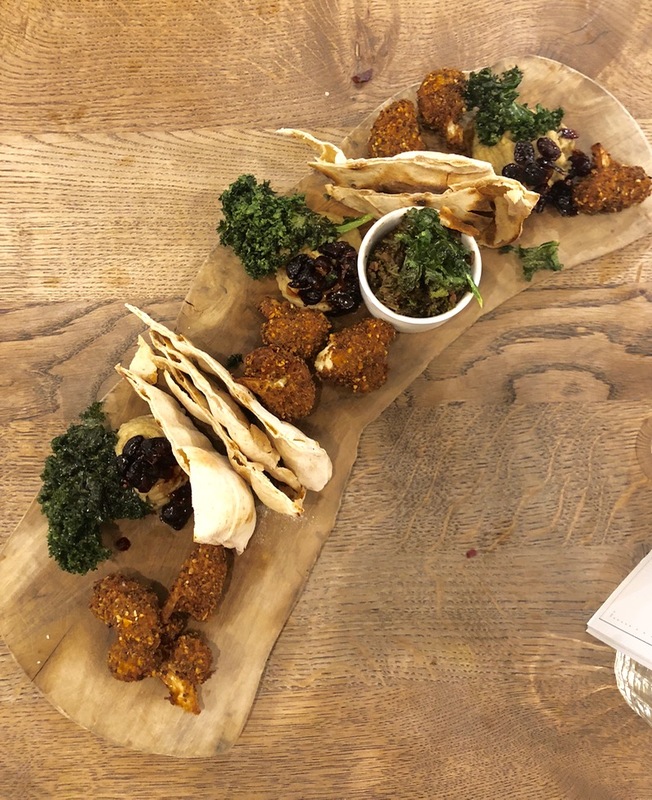 MUST HAVE: Mezze for two to share (kale chips, chestnut humus, crispy flatbread and wow the cauliflower popcorn). Kimchi Bowl with soba, Farmacy Salad laced with red beet dressing, Beet & cinnamon cleansing infusion.